Catalonia is commonly associated with the lively beaches of the Costa Brava, the creative geniuses of architect Antoni Gaudi and artist Salvador Dali and, of course, its vibrant capital Barcelona. They’re all great reasons to visit, but there’s more…a lot more. 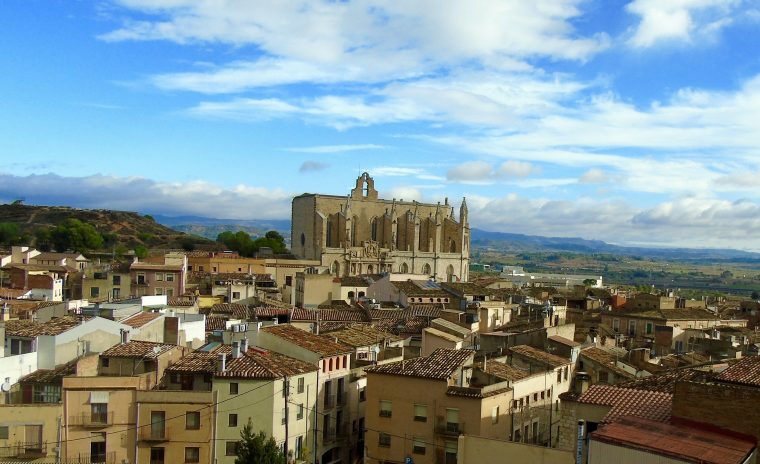 This diverse and beautiful region covers over 32,000 square kilometres of north-east Spain. It has a fascinating and somewhat troubled history (it was once part of the Roman Empire), spectacular scenery and delightful food and wine. 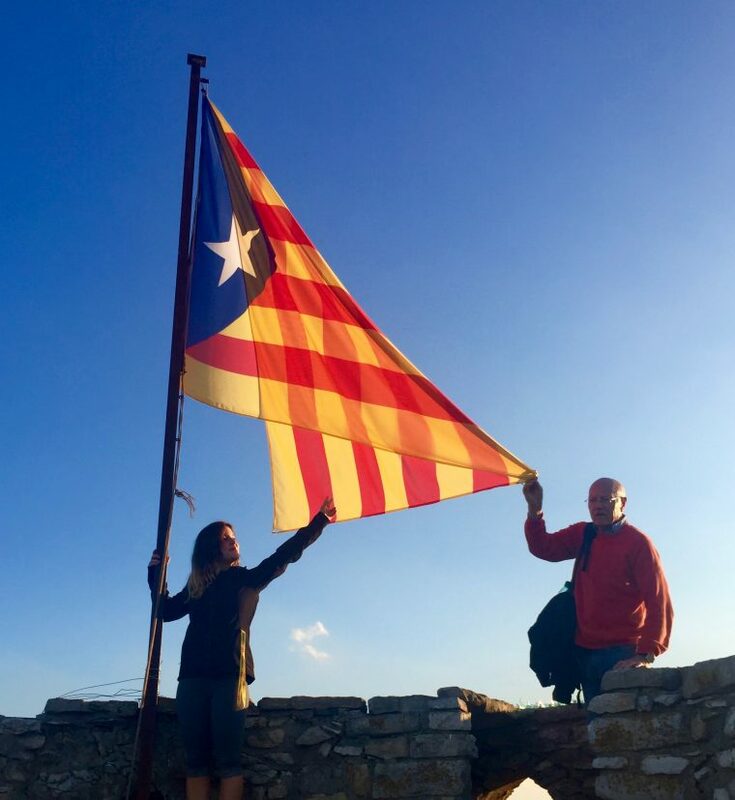 Maybe because of all this its people have a fierce Catalan pride, their own language (and flag) and some truly unique traditions. I travelled La Ruta del Cister (the Cistercian Route), through vineyards, mountains, forests and beautiful mountainside towns. 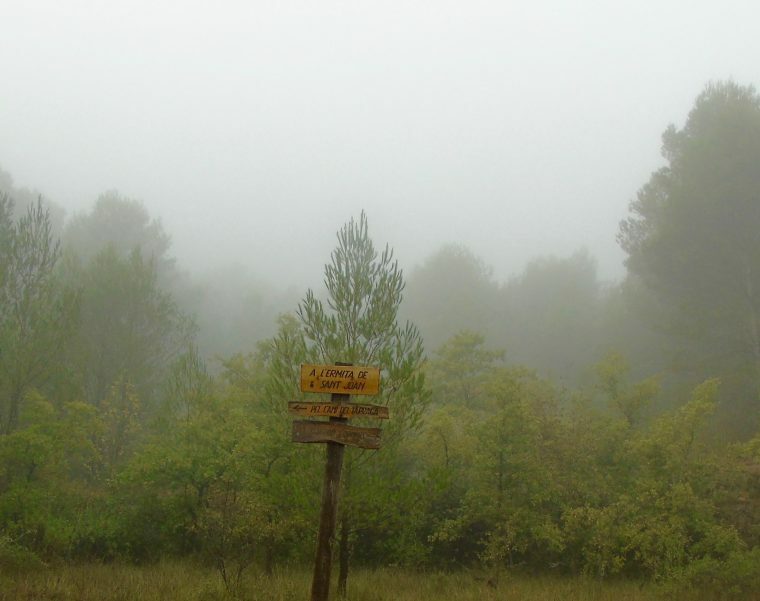 The route links together the three Cistercians monasteries of Santa Creus, Poblet and Vallbona de Les Monges. It takes you through history and gives you a taste of the austere lives of the devout Cistercians. 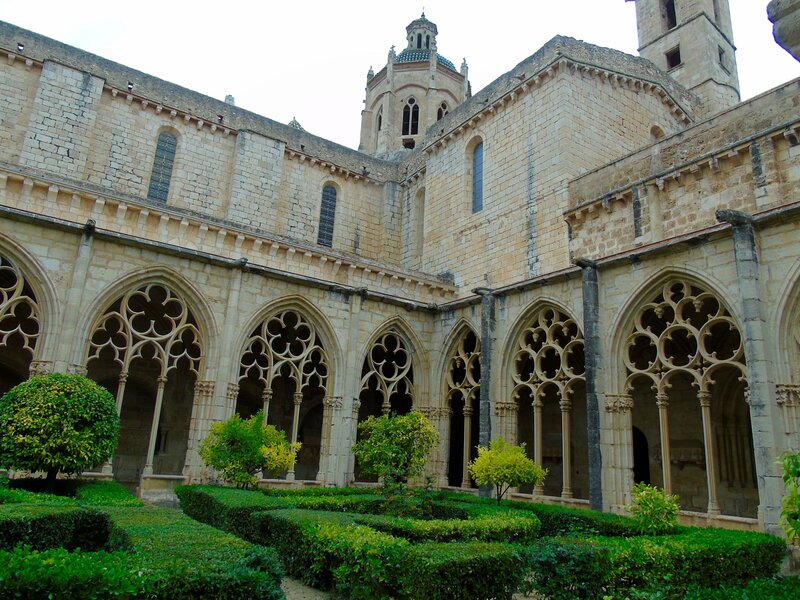 Poblet is still home to an order of monks and Vallbona houses eight nuns. These majestic monasteries are frequently breathtaking and you’ll come away with a different perspective on life to ponder. You can hike the entire route, a heart-pumping 105 km – it’s the largest network of footpaths in Europe. Or, like us, choose smaller sections. We tackled a challenging 10kms, winding up steep and rocky paths through the densest of forests to the abandoned church of L’Ermita Sant Joan de la Muntanya. A beautifully atmospheric hike through swirling mists to what felt like the top of the world. Back to earth, and a scenic, winding drive leads to the walled medieval town of Montblanc. The walls with their thirty towers provided the perfect lookout through many war-time dangers, keeping the town and its dwellers safe. Now you can take in the village from on high without concern of invasion, staring across the terracotta roofs to the striking church of Santa Maria. It’s said that St George (Sant Jordi) slayed the dragon in Montblanc and the day is celebrated here every 23 April with the exchange of roses and books. It certainly feels like the place of legends, so take time to stroll through cobbled streets and narrow winding alleyways and absorb the magic. There’s a little more magic going on down the road in Valls. 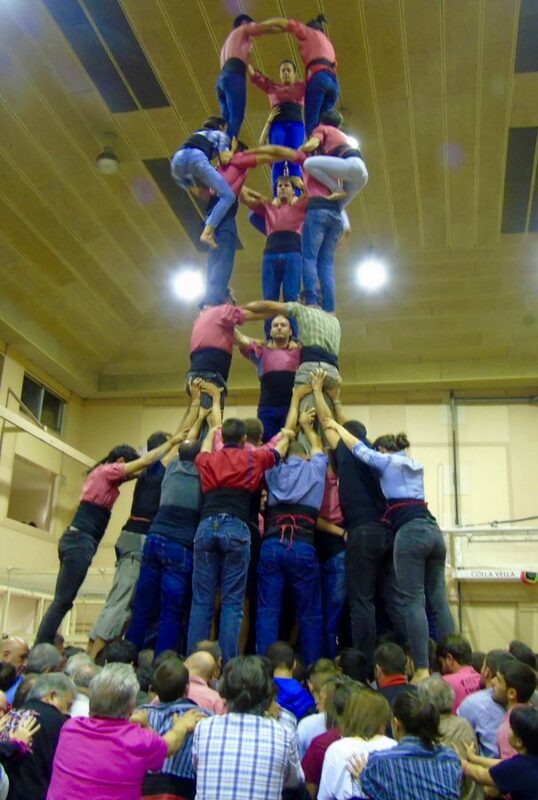 One of the area’s most fascinating traditions are the human towers or Castells. Their values are strength, balance, courage and wisdom and it’s a serious business with regular rehearsal (three times a week) and international competitions. My initial reaction to this phenomena was one of puzzlement, but it soon turned into admiration and wonder as I watched a group of people working in unison to create a tower six storeys high in minutes. I do love a good tradition and Catalonia even has their very own foodie one involving calcots. Calcots are kind of like a sweetspring onion, and there’s an annual event celebrating their harvest where they are grilled over fire, peeled by hand and dipped into romesco sauce before eating. 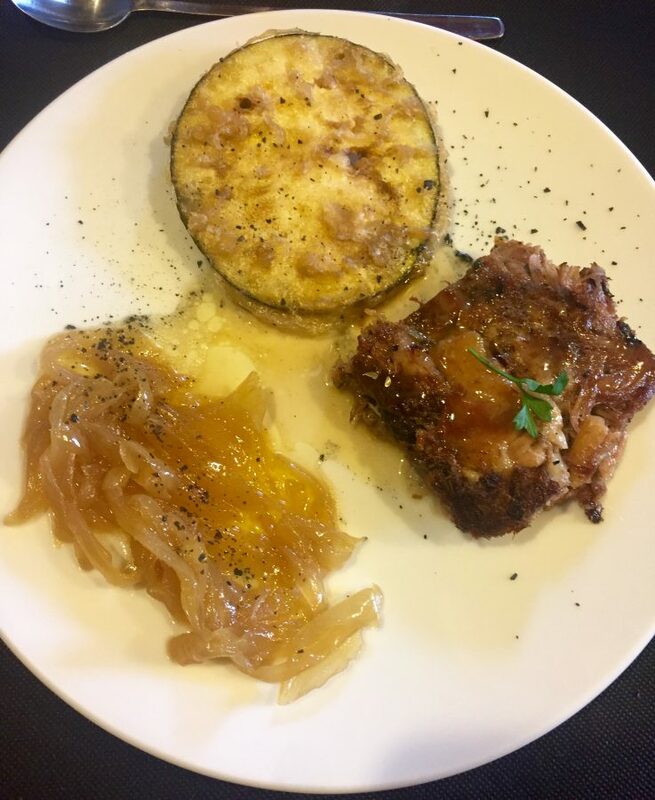 It’s certainly a place where food is celebrated. Restaurants are generously scattered through the region – even tiny villages have them. Another winding Catalonian road took us up to one of them. Fores has 12 inhabitants, so by coming for lunch at El Mirador de Fores we had more than doubled the population! Perched on high with spectacular views towards the ocean, the restaurant’s quirky decor and hearty dishes bursting with flavour reflect the passion and enthusiasm of the owner and chef. What an incredible feast, seriously I’d go back to the region purely to eat at this restaurant. 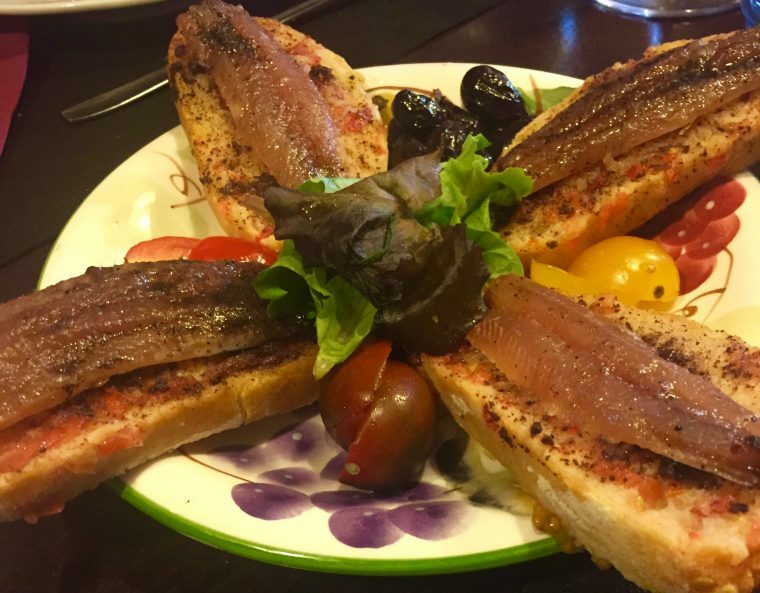 Dishes made with great local ingredients, kept simple, including these amazingly lush anchovies on tomato toast. More Catalan magic. 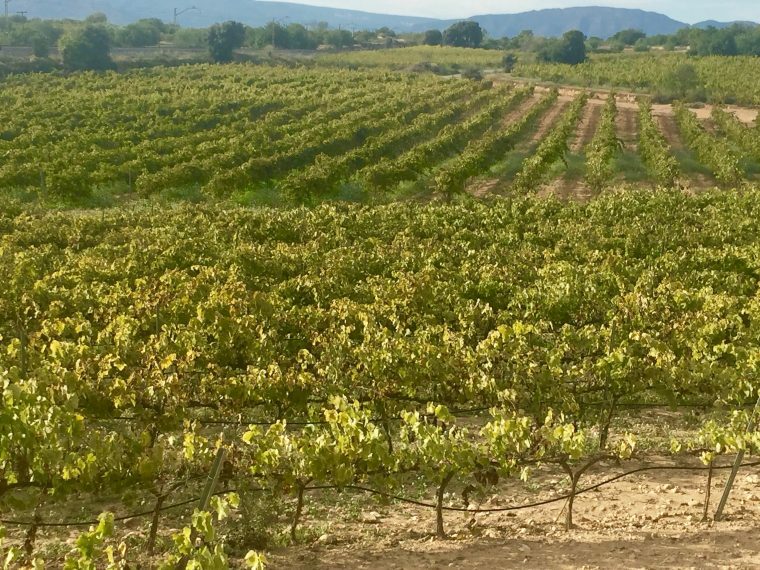 Catalonia is also serious wine country, elegant sweeping vineyards abound. There’s often an aroma of wine the air and there’s always a bottle on the table. The grand wine cathedral of Adernats is a cooperative in the town of Nulles, where wine seems to run through the resident’s veins – most of them are involved in its production. At Portell you’ll find yourself in Cava heaven – they produce 1.2 million bottles of the delicious bubbles a year. What better place to conclude a visit to Catalonia than at Miro A Taula in the small town of Verdu? Bringing together the best of art, food and wine this gallery set over four floors offers a unique two-tasting experience – wine and art. 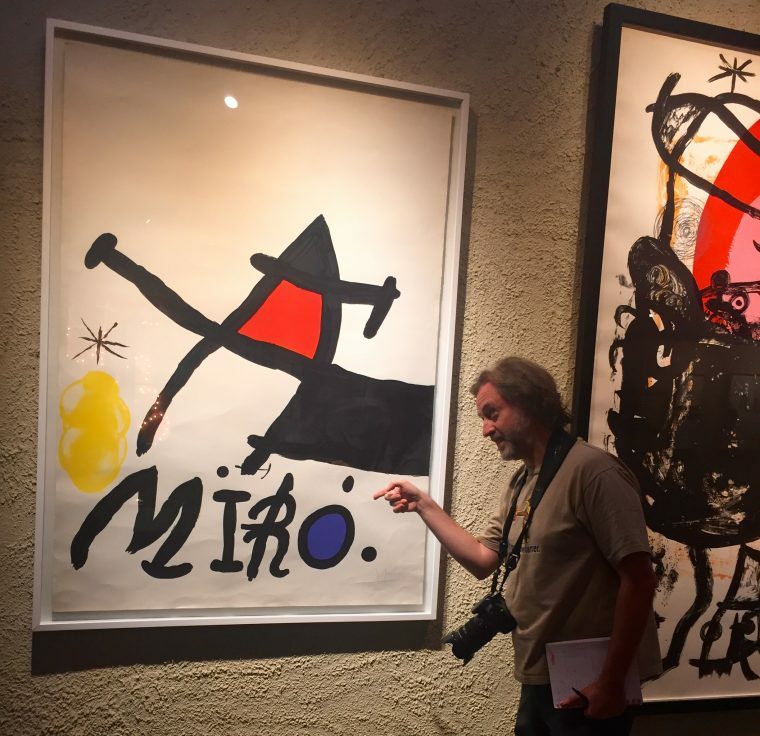 About 30 of Miro’s striking works adorn the walls and floors, as well as pieces from people like Dali, Picasso, Calder, Chillida, Plensa and Barcelo. There’s food on offer too, with fabulously creative tapas (a work of art in themselves) followed by a sit-down dinner surrounded by great art. 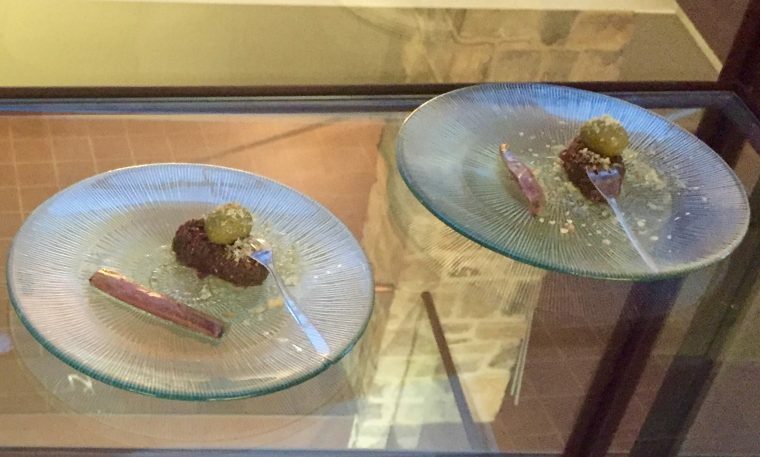 Tasting Miro offers something truly special. It’s done in small groups giving you plenty of time to get up close to the art – and the food is fabulous. 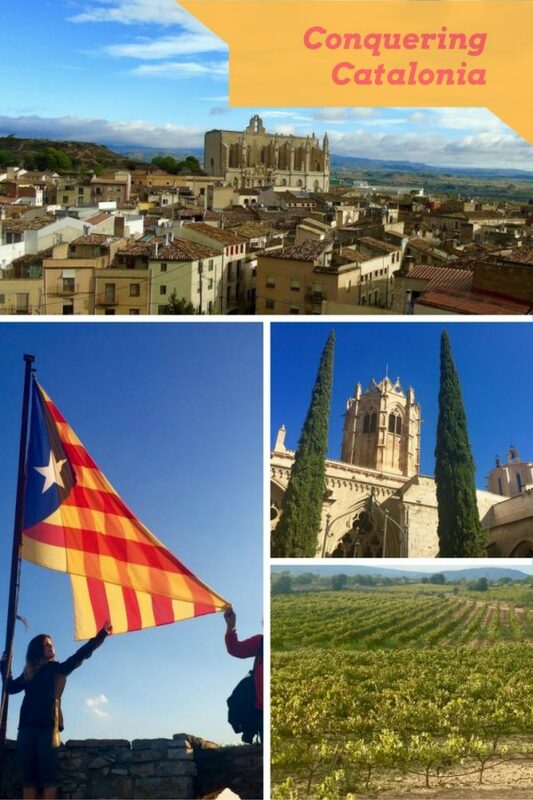 Catalonia is certainly a land of plenty. There’s much to absorb and be inspired by. 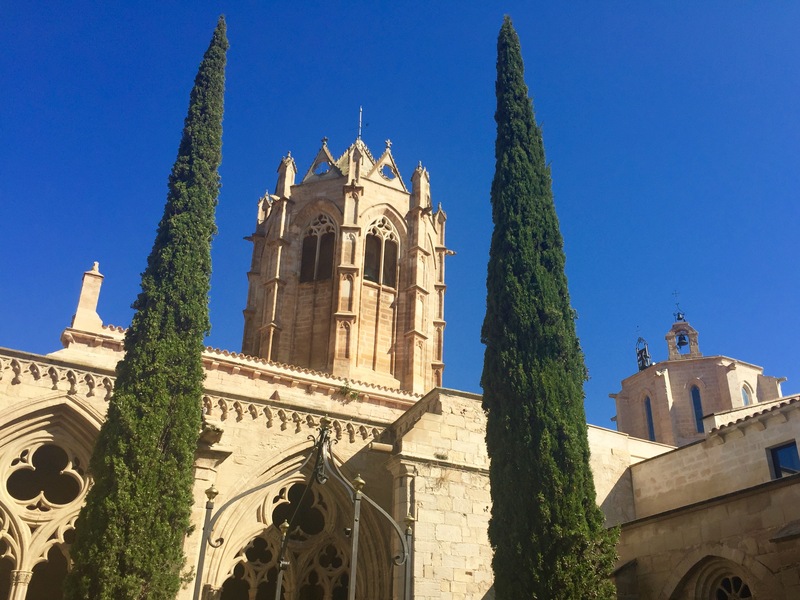 The Cistercian Route is one to take a slow meander through, getting a grasp on its fascinating history, enjoying the abundance of food and wine and meeting the people whose warmth and passion will soon make you feel part of that unique Catalonian spirit. Whether you drive, hike or cycle, there’s plenty to explore – stunning medieval villages and Catalonian countryside and of course, great food and wine. I flew to Barcelona on Vueling.com. Would love to visit and take in the sights of this region of Spain. I spent some time in Costa Brava and I loved it, but like you said, there is so much more! I’d love to go back and see more of the area. And I had no idea about the tradition of human towers. That’s so cool!